Posted by Grotesque85 in Fallout 76 Character Builds. 2 posts, last by Grotesque85 3 months ago. Posted by ShadowRyuu06 in Fallout 76 Character Builds. made this build for solo play but also play with friends a lot. I have managed to 2 shot a lvl50 scorchbeast with a dragon and there are very few enemies I can’t one shot. Posted by Kade in OP Solo. 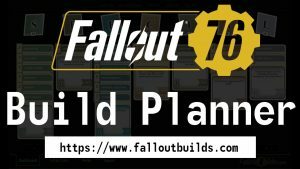 Posted by bigboonerdude in FalloutBuilds.com Feedback. Any advice on the build below? I want a good mix between melee and range (rifle) if possible…PS: go easy on me, I am new at this, want to get better…. Posted by Akulassn in Fallout 76 Character Builds. Posted by Michael Mills in Fallout 76 Character Builds. Based off of the skeleton build, i came up with this. I built this with an explosive shotgun and explosive handmade rifle. I have all mutations with the help of Emmett Mountain Disposal Site. Basically just stand by the barrels until youre at about 90% radiated, and use the decontamination shower after equipping your Starched Genes Rank 2 card. No reason to spend tens of thousands of caps to get mutated when you can get them all for free and use class freak to negate most negative effects. Posted by OneDoctorGdub in Fallout 76 Character Builds. 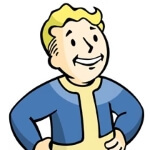 Posted by SergeantBoogie in Fallout 76 Guides & Tips.